We have a lot of really fun things happening at Shuttle these days. I mean this business can sometimes tire you out. As the founders of this business we tend to play anywhere we are needed. Some days we are drivers. Other days we are dispatch operators. Others we are customer service representatives. We wear every type of hat necessary at any given time. It can get tiring sometimes because we forget how much people appreciate us, but then someone will give us a brownie or a personal note saying thank you, then all of our stress melts away. It can seem like a thankless job at times but our customers definitely keep us pushing forward. After nearly 3 years of being in this industry we have finally realized how much more we can offer our customers in terms of making their lives more convenient. We were always a bit worried that we would potentially spread ourselves too thin and not perform our core service well enough as a result. For a long time we wanted to be one thing so that customers would never be confused on who we were. We always thought this would be the fastest and most efficient way to make this business successful. We never wanted to lose our ability to provide the highest quality of service due to trying to be too good at far too many things. We had to take a very long look at what we’re trying to become and how happy we could potentially make our customers if we offered more resources for them. We have decided to roll out 4 major initiatives for a 3 phase development program that we think will help our customers tremendously. We feel that customers want clarity about what they are buying so we are working on a something to help our customers know more about the vendors we are doing business with. This is a great way to take the guesswork out of choosing for our customers. It is also an excellent way to communicate about the great benefits that our partner vendors are providing. Next we will expand on our online grocery delivery arm. It’s something we think can really help our customers who don’t want to deal with the hassle of hauling heavy groceries to their homes. Then we will focus on our meal kit initiative so that we can make curated recipe packs for people who enjoy cooking but don’t want to bother with finding the necessary ingredients. We will simplify this by supplying the recipes, tutorial videos, ingredients all in a premeasured meal kit box. Lastly, we plan to give customers more flexibility about when they want their goods to arrive. We feel many people want their goods delivered on-demand and others want things prepared for a later time; both should get what they want. As you can see we are being very ambitious with our plans in the upcoming 1.5 years but we know with the continued support of our shuttle customer community that we can accomplish anything. Thank you as always for being on this journey with us and we hope you stay tuned on all the cool things we have planned! In an unprecedented move two local food delivery start-ups decided it was more profitable and productive to go with the old adage of ‘if you can’t beat em’ join em’. And with that, two local small fry companies became one mid size foreign food delivery company fighting for respect in an industry dominated by Korean giants. But before this company was created, there were more than a few memorable and noteworthy events that transpired, which helped etch and mold the philosophy of this new venture’s current company culture. 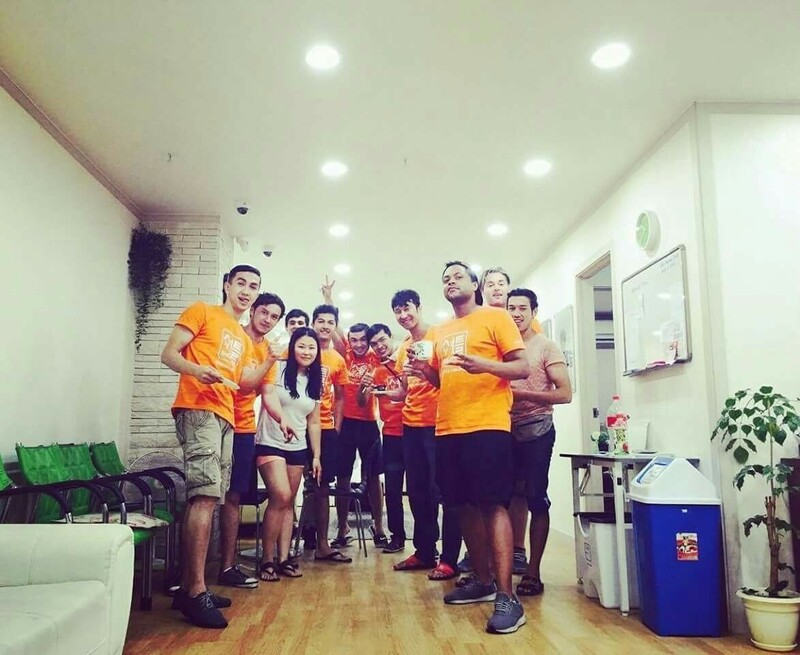 Many of you may have heard of either Y-Not Takeout, or Bird Riders Food Delivery, two foreign owned and run delivery services in Seoul. But many might not know the true and unadulterated origins of both, which would help anyone understand why Shuttle was formed. Back in 2013, two expats based in Shanghai, Zach Marble and Ben Hough were contemplating a return to the ROK. They’d had an idea, based on a company already in existence in Shanghai; the idea was delivering boutique style restaurant food to hungry Seoul residents. They’d seen the potential of this concept, and were excited to try their luck at running a start-up. 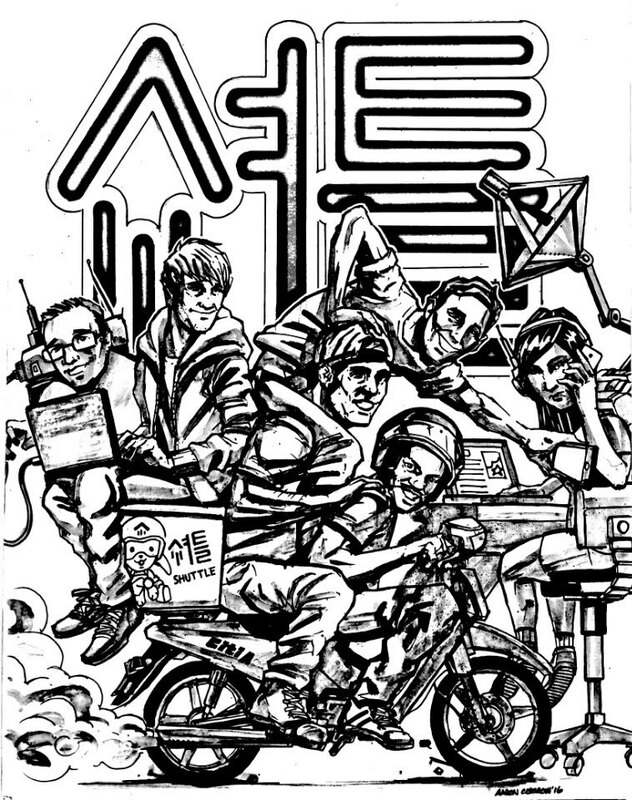 After months of careful planning and fundraising, they flew back to Seoul and began initiating the early phases of the company’s development, working out of a backroom in Zach’s apartment. Ben slept on the floor, and every day they woke up early, Mr Hough folded up the air mattress and they started the day’s work at two cramped desks. In silence, they scrolled through the page, clicking through and investigating. They knew their site wouldn’t be ready for at least another two months. They considered calling all of their investors right then and there; explaining that their seed money would be returned immediately but after much deliberation they decided they would stay and fight. The working days that followed were heavier than before. They rose earlier, and went to bed later. They knew that if they were going to stand a chance now, they’d have to hit a homerun. Completely oblivious to the ruined spaghetti dinner, in another tiny urban Seoul apartment approximately seven hundred meters away, Jason Boutte was hard at work trying to get his team ready for their first day of being open to the public, beyond just the close friends who tested the service prior. Unbeknownst to anyone other than the other two members, Marketing partner March Boesch and Operating partner Lauren Lee, of his team in that tiny apartment, Ynot-Takeout was a delivery service only in the sense that it had a delivery service business license; Mr. Boutte, CEO of Ynot-Takeout was it’s only delivery rider employee. That day was monumental for Ynot. Orders from several non-friends showed the young company that this service was needed by the community and Ynot had a shot at success; but with all 4 of their deliveries that day being completed in over 2 hours, there was little promise of this service actually becoming sustainable unless they got better. What ensued was 2 companies competing to outdo the successes of each other. Ynot-Takeout started off very aggressively by offering its partner restaurants 0% commision just to make sure the top restaurants in Seoul were listed on it’s site. Bird Riders responded soon after by offering Seoul delivery drivers elaborate deals to make sure they would keep the best drivers on their roster while Ynot-Takeout had to take the newbie/unreliable drivers since they couldn’t compete with the salaries offered by the BRFD team. Each success of each group was constantly being overshadowed by accomplishments of the other team. This went on for over two years until the two fierce competitors finally decided that there had to be a better way. The first meeting was very awkward due to a very competitive move done by the Bird Riders camp earlier that year, where they made all the mutually shared restaurants choose between the two delivery companies. It was a move that caught Jason Boutte, Mark Boesch, Lauren Lee and the other Ynot-Takeout team members completely off guard, so when a potential ceasefire meeting was offered up by Mr. Hough, Mr. Boutte was obviously going into that meeting with a lot of caution. After speaking about the current industry landscape they soon realized they had almost all the same thoughts about what a great company they could be if they put their egos aside. The next conversation was a soju fueled business meeting with a lot of expletives fired at each side, the culmination of which was the two disparate companies’ histories coming to a close and the origin of a new and improved version of both. Soon they started using the fuel from prior failures and shortcomings to make a company with the strength to survive in a highly competitive industry. They hired more top drivers, signed on more high profile restaurants, moved into a nicer office, bought faster bikes, and made a new and improved website. 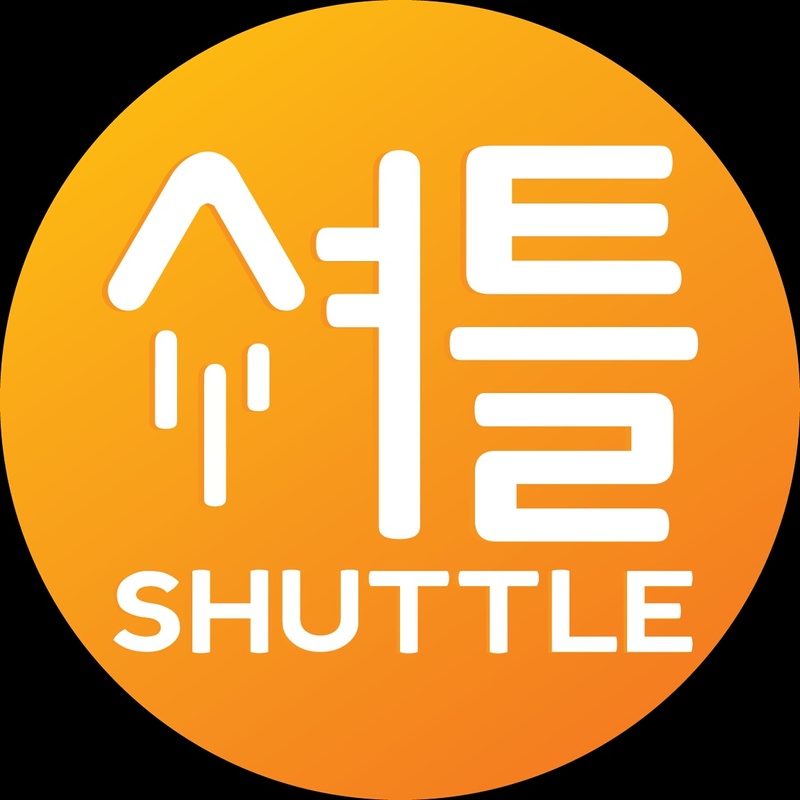 Shuttle’s website features many great restaurants all over Seoul. Currently featuring American, Asian, European, Indian, and Middle-Eastern restaurant partners in the areas of Yongsan, Mapo, Seodaemun and Jung-gu. Upon receiving the order placed through the Shuttle site, restaurants prepare the food for a Shuttle motorbike delivery driver to bring to the customer. It’s simple, inexpensive, and makes eating delicious, healthy, international cuisine at home easy and enjoyable.